They finally have fresh air now — but they won't leave each other's side. 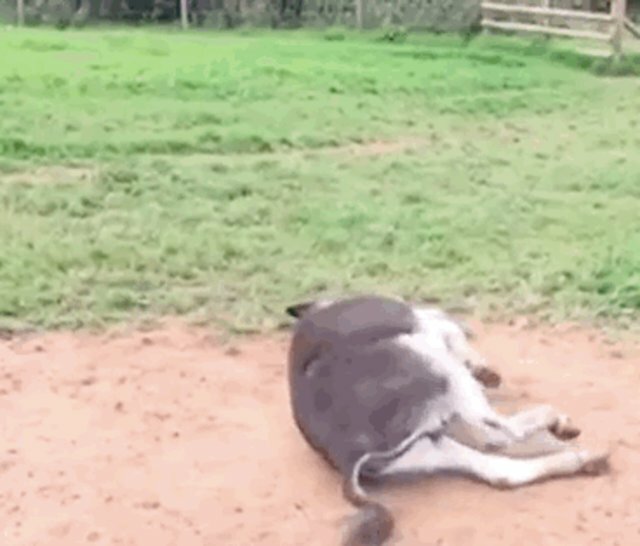 Two rescued donkeys are now living their best lives, rolling around in the fields of a sanctuary for animals just like them, but they almost didn't make it here at all. No one realized Timmy and Tommy, a pair of best friends, were in desperate need of help until one of them decided to cry out. 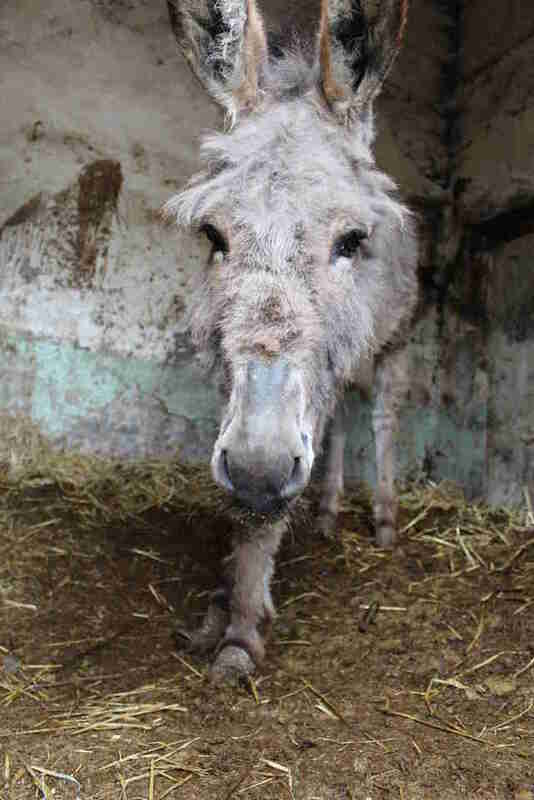 Rescuers from The Donkey Sanctuary responded to reports that a donkey was crying, and when they arrived at a dilapidated old shed in Yorkshire, England, they couldn't believe what they found. 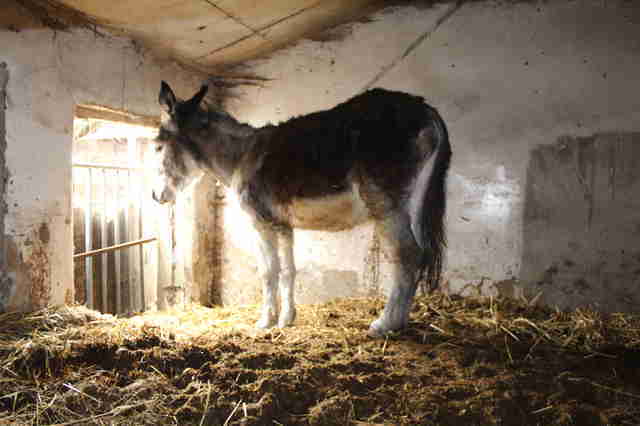 The two donkeys had obviously been trapped in the stable for a long time — they were living in mounds of feces, which had built up so high, Timmy's ears were nearly touching the ceiling and neither of them could get out of their small adjoining enclosures. 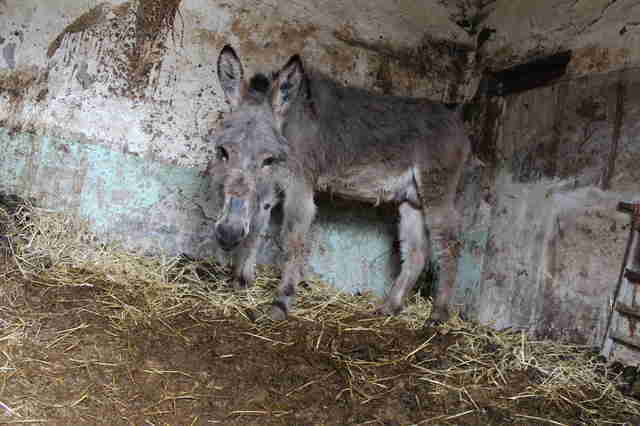 Tommy looked like he had given up on life, according to The Donkey Sanctuary. 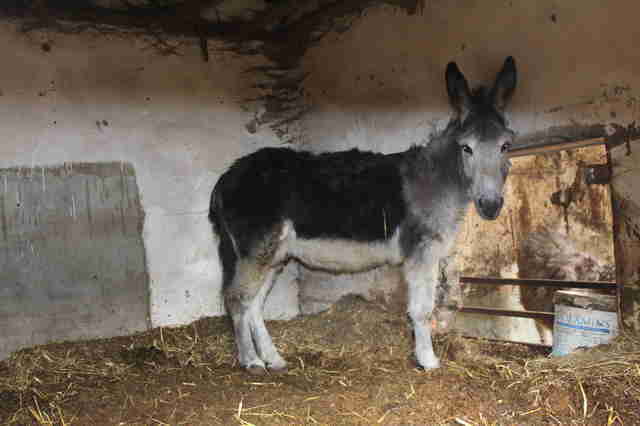 He was dangerously thin and had overgrown hooves. 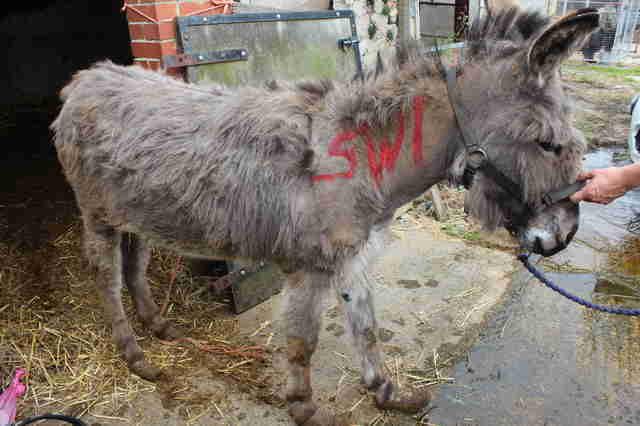 And Timmy's hooves were also in bad shape — they had been hacked away instead of being given professional trimming. 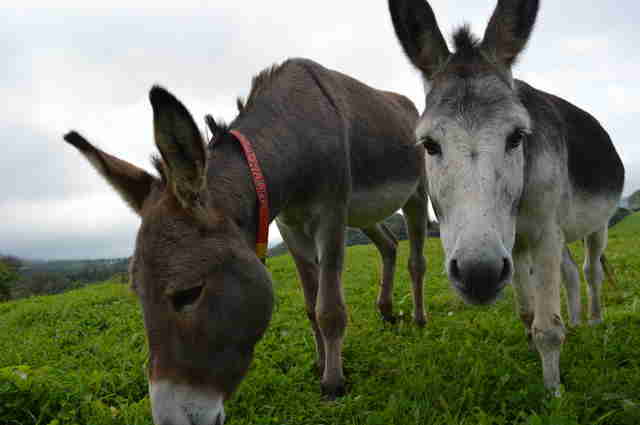 Rescuers knew they had to free Timmy and Tommy immediately — so they set to work digging them out. 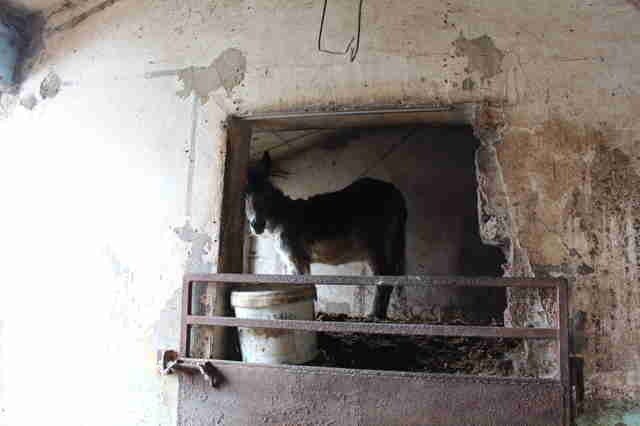 No one knows exactly how long the donkeys had been living this way, but police filed charges against the owner for making them endure such horrible conditions. 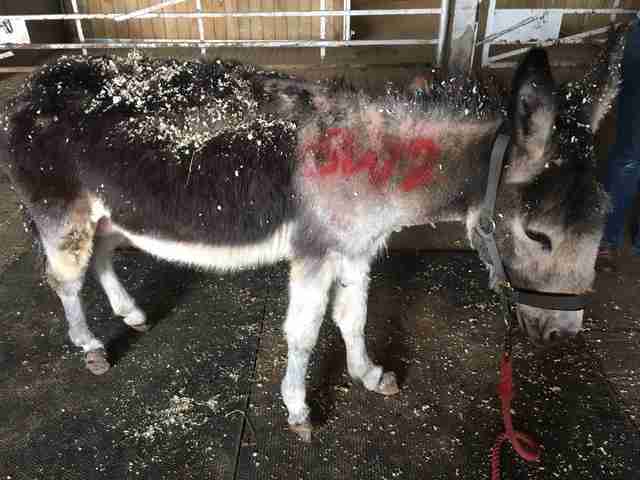 "Both of the donkeys were standing on their own excrement with nowhere clean or comfortable to rest," Bryer said. “The stench as we dug Timmy out was overpowering." 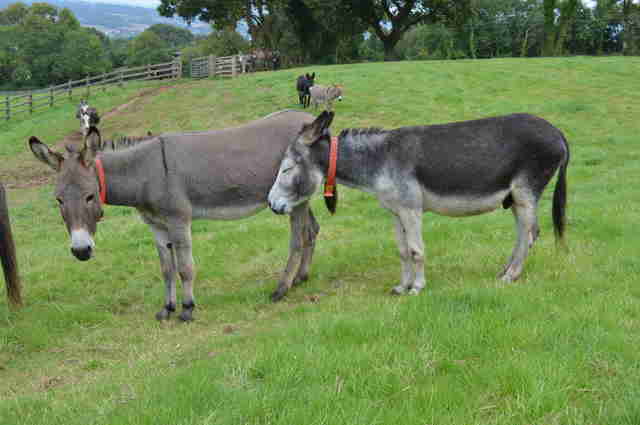 Rescuers noticed that as soon as they'd dug a pathway between the donkeys, Timmy limped over to reach his friend. 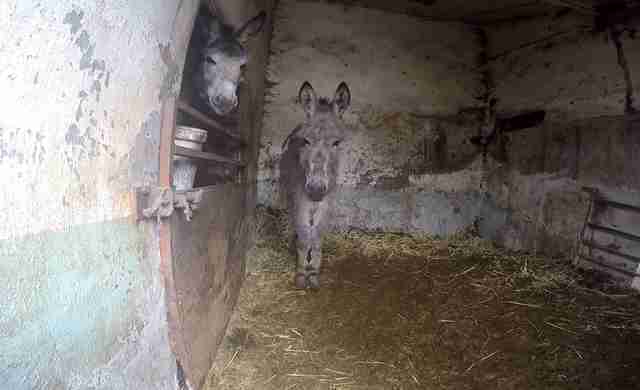 Timmy and Tommy were rushed to the sanctuary in Devon, where they got veterinary care. Their hooves were finally trimmed properly, and they were given a lot of nutritious food to eat. Now, they can spend time outside in the sun, which they could barely see in their previous lives. 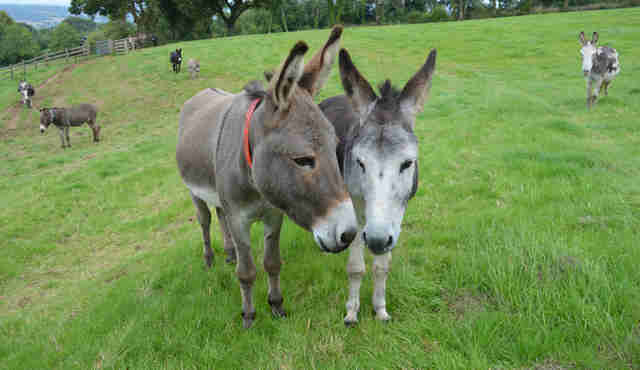 And even though Tommy and Timmy have so much room now, and expansive fields in which to graze, the two friends are never very far apart. 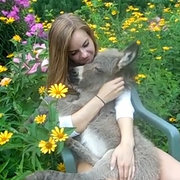 To help Tommy and Timmy and all the rescued donkeys at the sanctuary, you can donate to The Donkey Sanctuary.